The Boikot PLAZA LOW YATT group just made a fool of themselves. They just claimed that the Plaza Low Yat management ordered the mall closed on the 16th of September, due to the Red Shirt Rally. 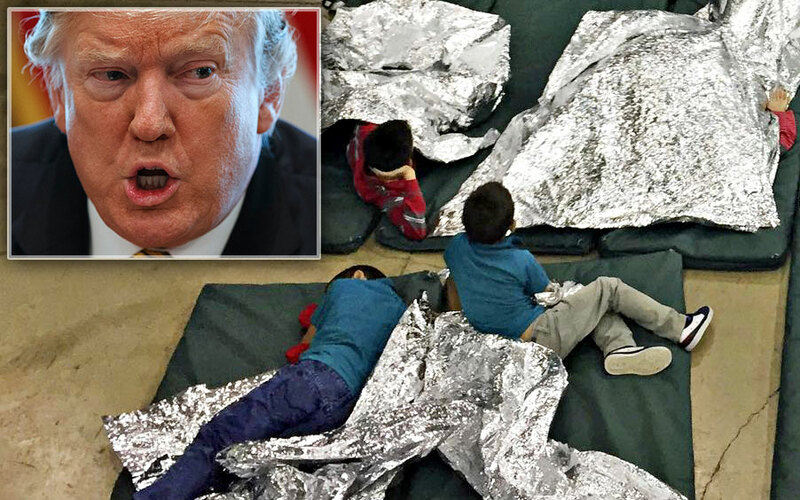 They even posted a photo of the circular as evidence, and asked their fans to make it viral! Unfortunately for them, that claim was based on their poor understanding of the English language. So now they look like idiots for thinking that “working closely” meant “kerja tutup” – literally “work closed“. Take a look for yourself! Lowyatt mengarahkan plaza lowyatt ditutup pada 16hb september????!!! apa lagi, kasi viral!!! 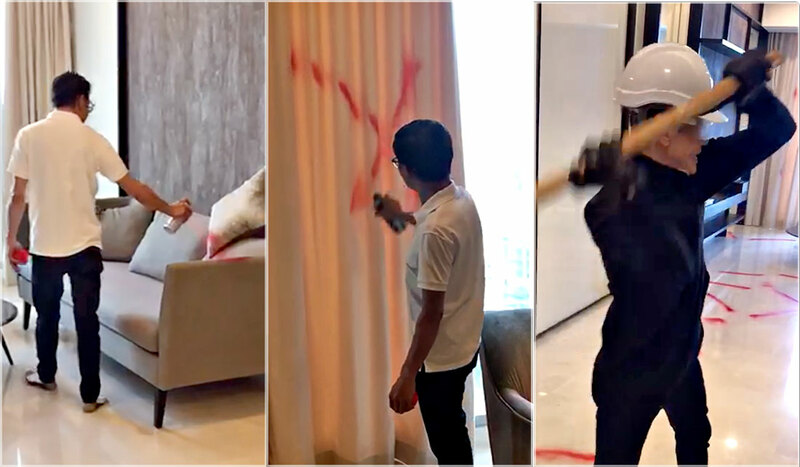 Tq kpd ahli kita yang mengirimkan gambar ini!!! 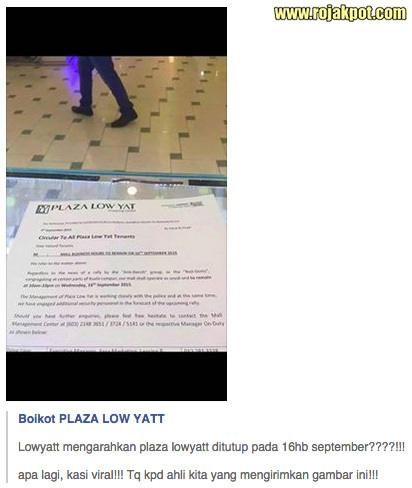 Lowyatt ordered plaza lowyatt to be closed on the 16th of September????!!! What else (to do? 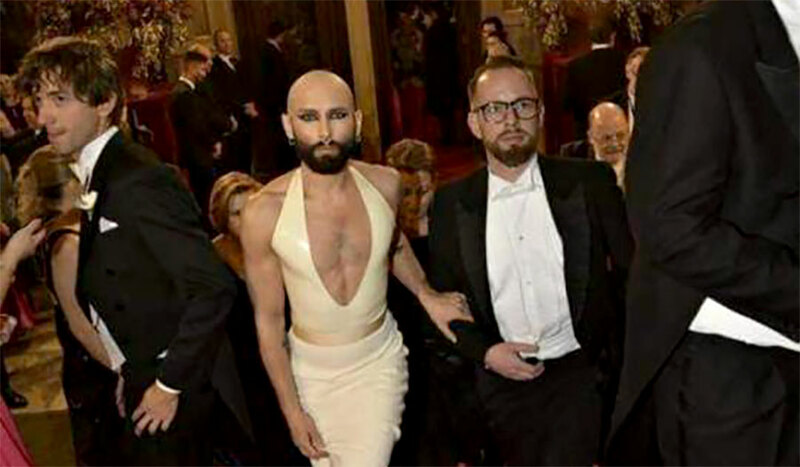 ), let’s make it viral!!! Thank you to our member who sent us this picture!!! What Did The Circular Actually Say? We refer to the matter above. Regardless to the news of a rally by the “Anti-Bersih” group, or the “Red-Shirts”, congregating at certain parts of Kuala Lumpur; our mall shall operate as usual and to remain at 10am-10 pm on Wednesday, 16th September 2015. The Management of Plaza Low Yat is working closely with the police and at the same time, we have engaged additional security personnel in the forecase of the upcoming rally. So you see – Plaza Low Yat remains open during the Red Shirt Rally. Reading through the entire text, there can only be one possibility for their misunderstanding. They likely translated the phrase “working closely” as “kerja tutup“, literally “work closed“. 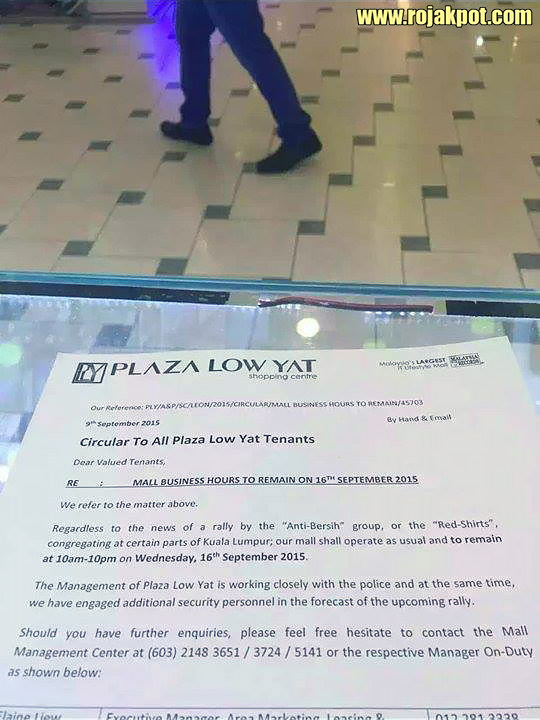 Nothing else in the text of the circular could possibly have been translated to insinuate that the Management of Plaza Low Yat intends to shut the mall during the Red Shirt Rally. This is an epic and very sad demonstration of why we really need to improve the standard of the English language here in Malaysia. Pingback: Did Plaza Low Yat Really Close For Red Shirt Rally?